Like many areas of South Florida, Boynton Beach is home to a large number of retired and elderly residents. Recent demographic data shows that the 65-84 age group is the highest percent of the Boynton Beach population, and that percentage continues to grow. To meet the needs of this population, Boynton Beach continues to add facilities and activities aimed specifically at helping its elderly residents, which in turn makes it an even more attractive location for new retirees and individuals over 65 years old. While many elderly individuals continue to drive without incident, studies show that elderly drivers are at-risk of causing car accidents. If you or a loved one in Boynton Beach has been involved in an accident with an elderly driver, Frankl & Kominsky can help you get the compensation you deserve. Boynton Beach boasts a vibrant, active community of individuals 65 years old and older. Recent demographic studies show that residents between 65 and 80 make up about 17% of the population in Boynton Beach, the largest single age category of residents. For older individuals, driving is often an important part of independence and it can be difficult for them to give up their automobiles. In 2015, there were more than 40 million licensed drivers ages 65 and older in the United States. Unfortunately, however, older drivers create a higher risk of accidents on Boynton Beach's roadways. According to the Insurance Institute for Highway Safety (IIHS), older drivers experience higher rates of fatal crashes, based on miles driven, than any other group except young drivers. In 2009, more than 58 percent of deaths in crashes involving drivers over age 65 were older drivers themselves and 12 percent were their passengers. Twenty-eight percent of these deaths were occupants of other vehicles, bicyclists and pedestrians. By comparison, in the same year 40 percent of deaths in crashes involving at least one driver younger than age 21 were attributed to the younger drivers themselves and 23 percent were their passengers. Thirty-six percent were occupants of other vehicles, bicyclists and pedestrians. There are many factors that contribute to accidents by older drivers. Declining vision, physical changes with age, and slower cognitive functioning related to age can all increase the chances of accidents by elderly drivers. Because of arthritis, which impacts 50% of the middle age population and 80 percent of people in their 70s, can make turning painful or difficult. Additionally, many elderly drivers are on some type of medication, which can impact their ability to drive. If you or a loved one has been the victim of a car accident involving an elderly driver, Frankl & Kominsky can help you understand your legal options. Victims of automobile accidents in Boynton Beach and throughout South Florida often face medical bills, inability to work, pain and suffering, or other costs. This can lead to hardship for the victim, and insurance companies may attempt to block victims and their families from collecting the compensation they deserve. The process is often difficult and drawn out, and can be confusing to navigate. 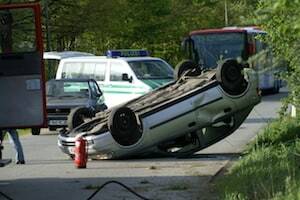 At Frankl & Kominsky, we have extensive experience in representing victims of elderly car accidents. Call us today at (855) 800-8000 or fill out our online form and we will discuss your options and how best to proceed based on the unique facts of your case. Our highly skilled teams have represented hundreds of victims of all types of car accidents in Boynton Beach as well as surrounding areas, such as Lake Worth, Delray Beach, Pompano Beach, and Boca Raton. We are fluent in Spanish and Creole.